One of the things I like about doing these Cool Actor of the Week posts is taking the opportunity to do a little research on the folks we profile. I’ve been a fan of Terry O’Quinn since his amazing performance in The Stepfather (1987), but until now I didn’t realize just how many credits the man has. Born Terrance Quinn in Sault Ste Marie, Michigan in 1952, Terry began acting in the 1970s while at Central Michigan University. He changed his last name to O’Quinn because of another actor with the name Terrance Quinn. His first film credit was in F.D.R. : The Last Year, a TV movie in 1980. He appeared in Michael Cimino’s ill-fated Heaven’s Gate that same year. A string of TV and movie roles followed, leading up to The Stepfather and its sequel, Stepfather II (1989). In 1991 O’Quinn appeared as Howard Hughes in Joe Johnston’s The Rocketeer (based on the comic by the late, great Dave Stevens). O’Quinn was great in what was really an extended cameo and in my opinion delivered a far more believable Howard Hughes than Leonardo DiCaprio in Martin Scorsese’s The Aviator. Many more TV and movie roles followed, including a turn as Mayor John Clum in George P. Cosmatos’ Tombstone (1993). After appearing on The X-Files in 1998, O’Quinn was cast in a recurring role on Millennium (1996 – 1999). 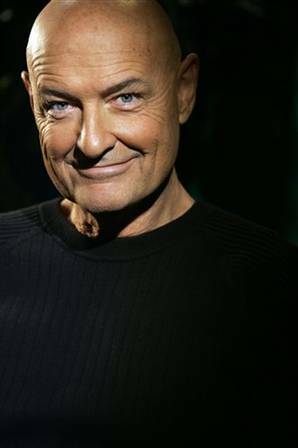 Starting in 2002, O’Quinn was a regular on J.J. Abrams’ Alias, which led to the role O’Quinn is most famous for: John Locke on Abrams’ Lost (2004 – 2010). O’Quinn knocked it out of the park on Lost, garnering three Emmy nominations, and taking the award home in 2007. NBC recently picked up a new Abrams show called Odd Jobs, which will feature Terry O’Quinn and his Lost co-star Michael Emerson (“Benjamin Linus”) as a pair of former black ops agents, but the show is on hold until next season. O’Quinn’s imdb page lists an amazing 100 credits to his name. Here’s hoping he continues to be as prolific in years to come.